Holds Light, Mic, Battery, Cables, Etc. Store wireless systems, small hard drives etc. 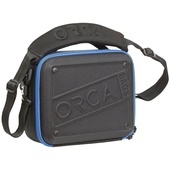 Gear bag with a wide mouth access to easily load travel essentials. A bag that adapts to your gear and lifestyle, no matter where you go or what you're carrying. Compressible, easy to access, and instantly dividable, Peak Design Packing Cubes are functionally and aesthetically unmatched. The Peak Design Everyday Messenger Version 2 13" (Ash) showcases smart features to meet your day-to-day needs. Designed for the photographer, traveler, urban commuter, and everyone in between, it showcases smart features to meet your day-to-day needs. 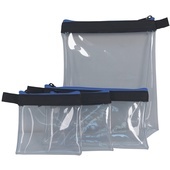 Strong, ultralight, and ultra-packable, the Peak Design Travel Shoe Pouch provides basic storage for shoes or clothes.